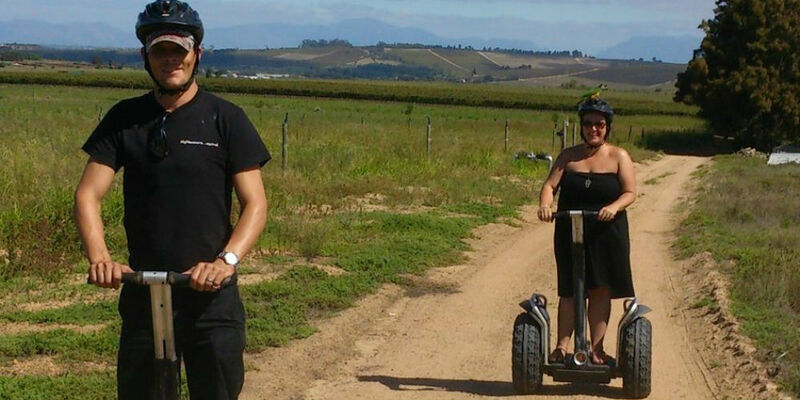 Tour the vineyards on a Segway PT (Personal Transporter), the coolest two-wheeled way to see the Spier farm. This self-balancing electric vehicle will help you glide through the vineyards, past our Protea Garden and Biodynamic farming area where we will share some interesting facts. At Segway Tours we pride ourselves on having one of the most comprehensive training routines in the Segway business. We ensure that Segway riders are fully confident and all have the ability to ride the farm and off road terrain to enjoy their Stellenbosch winelands experience.